You are never too old to be considered for braces. Anyone who wants to work on the alignment of their teeth or bite is a candidate for this tool. In fact, we see more and more adults coming in to have braces put on than ever before. Many times as well, adults have less complications with their braces than teenagers do! Because adults oral tissues and nerves all fully formed and hardened, adults tend to find that the braces their children / nieces and nephews complain about, is extremely manageable. With all new braces patients, getting used to the hardware now on your teeth can be quite the shock in the mirror. If you are concerned about the appearance of braces, speak to an orthodontist about the possibility of trying the alternative: the retainer-like Invisalign. It’s important to keep in mind when thinking about the appearance of braces that this is not a permanent look, and the positive results afterwards outweigh any negatives. Have Questions About Adult Orthodontics? 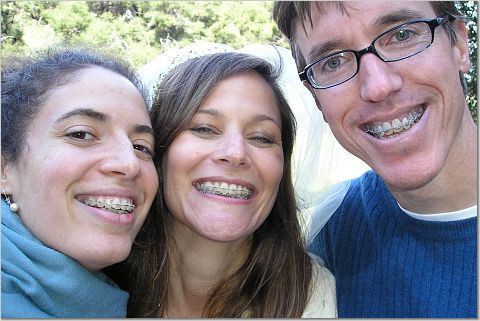 Are you an adult that is considering braces or other adult orthodontics? Give our offices a call at (602) 595-3600!